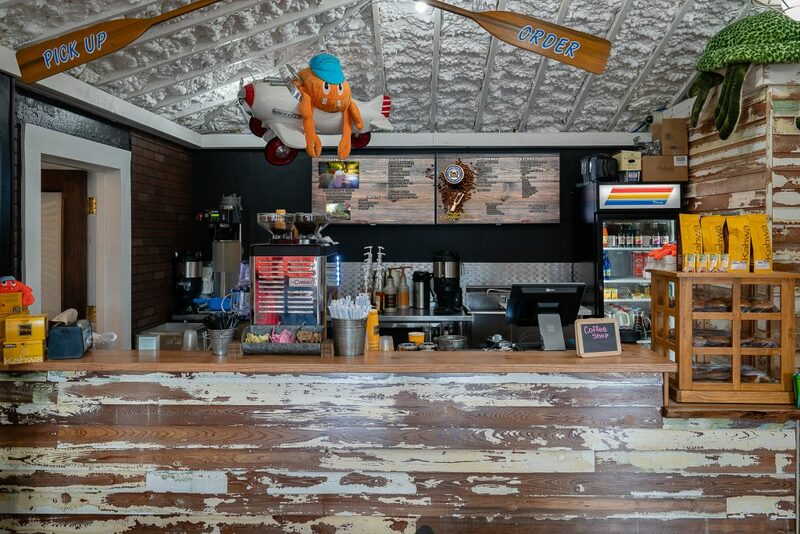 Captain Curt’s has opened a brand new Coffee and Craft Beer Garden in Captain Curt’s Village attached to the Tiki Trading Co. As before, the Tiki Trading Co. offers island apparel, souvenirs, and all things Captain Curt’s. 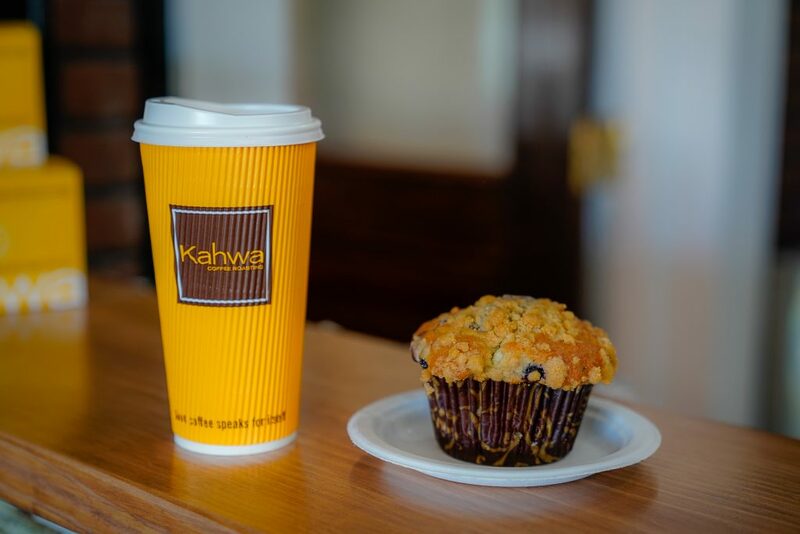 Focusing on local products, the Coffee and Craft Beer Garden proudly serves Kahwa Coffee (St. Petersburg, FL), baked goods, and craft beer. 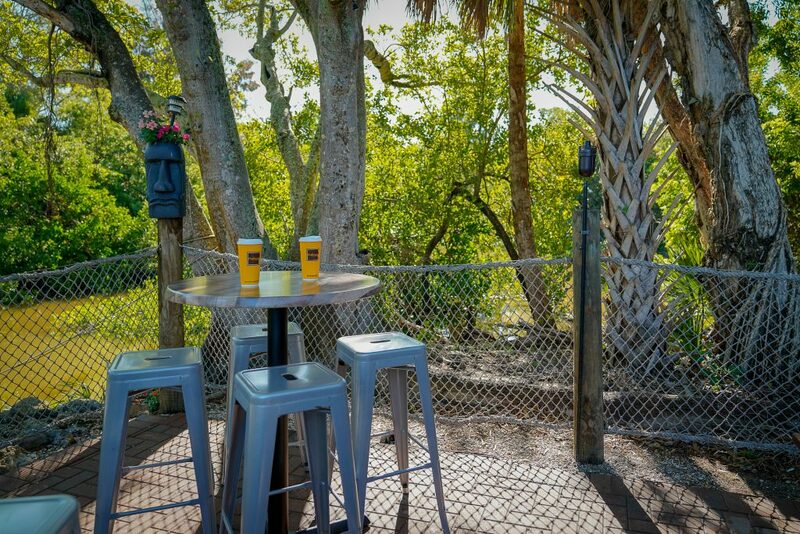 The Coffee and Craft Beer Garden features a one of a kind natural Florida outdoor seating area under a new Tiki Hut overlooking Sabal Lake, a rare view of real Siesta Key wildlife and natural vegetation. After you’re done shopping at the Tiki Trading Co, enjoy a great hand crafted coffee, espresso, latte or a selection of 10 craft beers on tap, wine, and of course domestic cans and bottles. 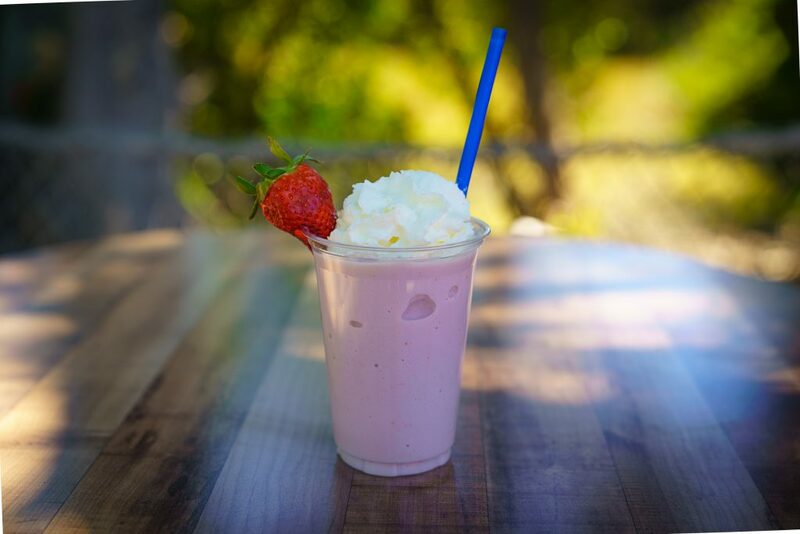 Laid back and family friendly, the Coffee and Beer Garden is a must see at Captain Curt’s Village. Located in the corner of the Captain Curt’s Village at 1200 Old Stickney Point Rd. on Siesta Key.